TeamWORKS is a big proponent of integrating systems. Entering data twice is not only a waste of time but also creates inaccuracies in data, and really, why put a double-entry system in place when it’s so easy to share information between systems? 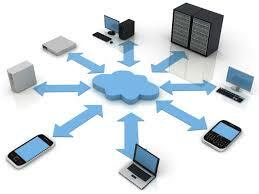 So can system integration be done in today’s world of on-site and cloud systems? Yes. 1. You may have many different systems (e.g. accounting, maintenance, building automation, compliance) and each of these systems were chosen because they are best in class systems but they do not talk to each other. 2. You run an Enterprise Resource Planning (ERP) system that shares data but does not adequately meet the needs of all the stakeholders. Many of the subsystems within this ERP are great but some are greatly lacking. The ideal enterprise solution has best in class systems, even when it is an ERP system, and integration ensures accurate data is shared. It is important to include each department in the planning stages and allow them to select their own system and not be forced to an enterprise standard. The reason is simple, each department manager was selected for their expertise in theirarea, let them manage with a system that fits their needs and desires. Many times the CFO is given the privilege of choosing systems for the enterprise. This is done to ensure accounting can track spending in hopes of finding efficiencies, waste and savings, and quite frankly, they are required to track everything related to the financial health of the business. How does the CFO decide the best maintenance package for facilities, for example? The CFO picks the maintenance package that ensures the accounting system receives accurate and timely data. Bad idea! The primary decision requires substantial input from the maintenance management team ensuring the needs of both the CFO and the facilities department are met. This is done by finding a software solution that has all the functionality facilities needs and offers integration with other software packages, such as the software used by accounting. One of the biggest barriers to integrating systems is the belief that on-site and cloud software can’t speak to each other to exchange data, and even if they are capable of doing so, it exposes the company to additional and unwarranted security concerns. Don’t believe the hype. While there is room for a certain amount of caution when integrating systems and exchanging data, declining to use the best solution for the company out of fear of a data breach is not advisable. All systems do not need to be on-site in order to share data. All of your on-site systems belong to the “internet of things”. That is to say, in today’s tech environment they are accessible from anywhere in the world. Even if they are safely tucked away in your Local Area Network (LAN) the database is available for integration. Even with the extensive rules, safety measures and obstacles put in place at a major bank, due to the extreme level of regulation and security concerns banks tend to have, TeamWORKS was able to integrate an on-site system with a hosted system. In the most extreme cases involving security concerns, the system sending data can create an export file that is placed in a secure location for transport. The file is then transferred via an encrypted connection to a secure location on the import system’s network, making it accessible to the importing system. This process can be multi-directional, can involve many different systems and is compatible with multiple on-site and hosted solutions. As long as you ensure your desired system can accommodate, as a minimum, the above scenario then you should feel confident in selecting the “best in class” software to fit your needs and the needs of the enterprise whether it is in the cloud or on your network.